I’m knitting another pair of socks using Fibernymph Dyeworks Bounce Yarn in the Tardis color way. (I’m sure, by now, y’all realize that I love this colorway – this is the third pair of socks that I’m knitting with this yarn). This time, I’m going to knit a Fishlips Kiss Heel but I’d like to make the socks a little longer than I did for my daughter’s pair. So, I’ve enlisted the help of an old food scale (we bought it on clearance years ago for a science fair project). As you can see, I have 82g available. I’m hoping this will be enough to add approximately another half inch to the leg of the sock. I had a bit of leftover yarn with my daughter’s pair so this should work. Also, using the Fishlips Kiss Heel will let me keep going with the yarn and not worry about matching the yarn pattern up for an Afterthought Heel as I did with the first pair. (I definitely lost some yarn in matching up the pattern). Wish me luck! 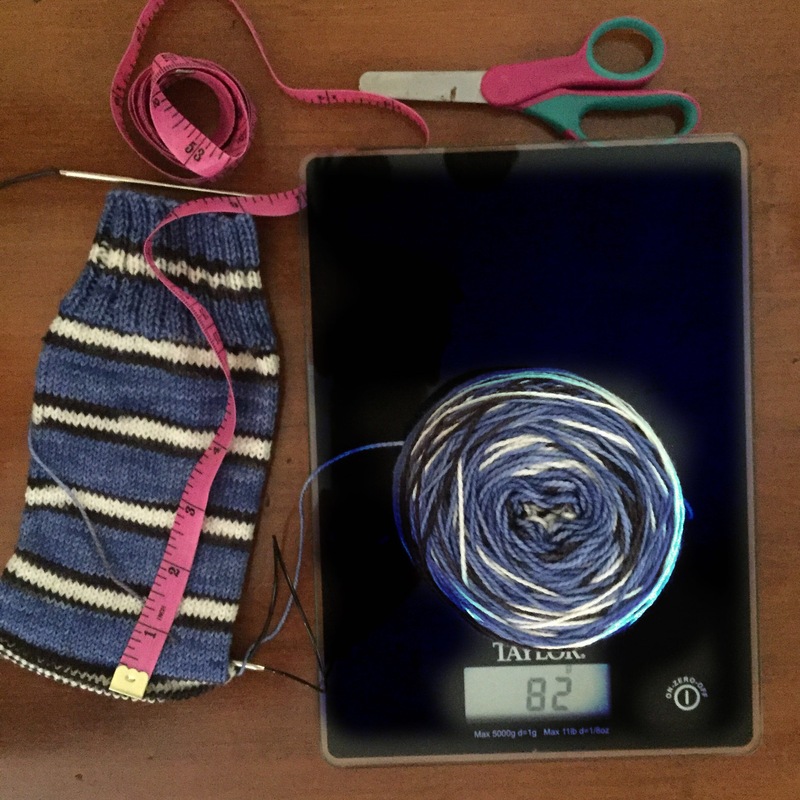 How do you accomodate your knitting for different size socks? Share here!